A couple of years back while visiting Helsinki I got impressed by a t-shirt-design with a very familiar looking font. 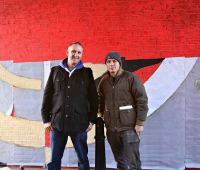 I soon found out that Jani Tolin, graffiti writer since the very early days in Helsinki and a well-known graphic designer and typography fanatic, was behind it. 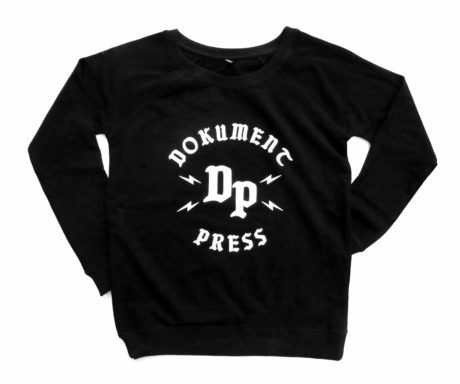 Soon thereafter Jani designed our much-loved Dokument Press-logo, which is now out on brand new sweat shirts in black and burgundy. 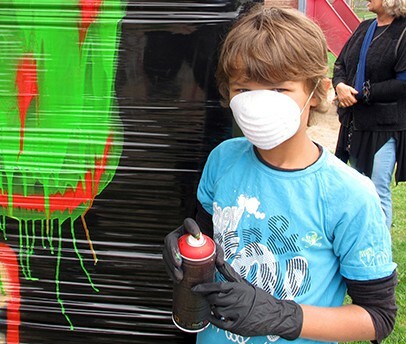 Jani is foremost a graffiti writer, but in reality a renaissance man dedicated to hip hop. Apart from working with graphic design he’s also painting, DJing, dancing, directing music videos and editing music (Alpha Village at Soundcloud). Why does the letters on our sweater look so familiar? It’s a remake of an iron-on blackletter. A lot of kids into hip hop rocked those letters on their shirts and hats in early 1980’s New York City. Why did they use this specific font? Probably just by chance. 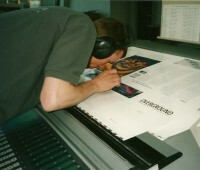 I doubt the font variety at the print shops was too wide at the time. It was either that, Cooper Bold, or the sport jersey block letter, I suppose. You see bakery signs and such in very similar gothic styles in parts of the Bronx where the Irish live, so the letters could have Irish or Gaelic roots. 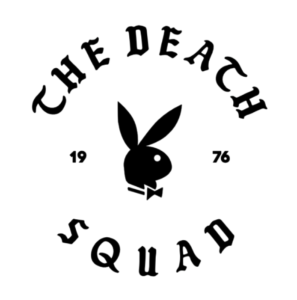 It’s a gothic blackletter, although softer than typical blackletters and it’s often used placed in arch, like the outlaw gangs fly their colors, so that’s a possible influence. Of course sports teams do that too. When did you first encounter these letters? In 1987 or 88 through Grandmaster Flash in the movie Wild Style, Dynamic Rockers in the Style Wars documentary, and Rock Steady Crew in The History of Hip Hop book. I can’t remember which one came first, but essentially it was the same as for most kids in our generation of hip hop heads in Europe, I guess. Typographers tell me it’s impossible to find this font digitalized. How did you manage to find it? I didn’t. I had looked for the font since early 1990s and towards the early 2000s it started to seem as it never was made into digital format. 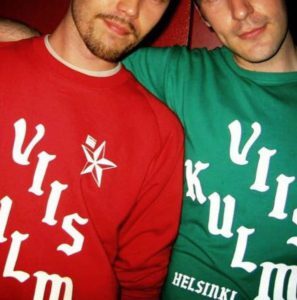 In 2002 or 2003 Pablo Steffa, a partner at Lifesaver Records and my old design buddy asked if I’d like to draw the words Viiskulma and Helsinki in that font for a Lifesaver t-shirt. I gathered all of the reference pictures I could find at the time and drew the letters based on the references. After they were done I slowly began to draw the rest of the alphabet. Later I learned to make a font out of it. Looking back to it now and after seeing a lot more images of that original font there’s a number of mistakes I did. The B-boy scene has embraced it and generally people who know its origin seem to appreciate it. 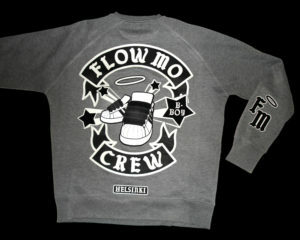 In 2007 when my dance crew Flow Mo wore it no other crew had it at the time and many NYC b-boy legends were giving props. Soon after a crew from South Korea contacted me asking for the font and they were upset when I refused to share it. I tried to tell them it took 20 years of obsessing about the font until I got it by recreating it and they had just recently found out about the whole thing, so they could perhaps put in some effort of their own. It seems there’s a whole lot of digging going on about this font? Some bootlegged it like I did and some managed to find the original letters. PJay of Dynasty Rockers from Brooklyn got his hands on the original alphabet and scanned it, but the letters he scanned were the smaller size of the two or three sizes available and the smaller letters have slightly less difference in width between the widest and the most narrow part of the letter. That Kanye’s Pablo merch font (used by Cali DeWitt) does the same in the original iron-on format, the smaller size letters are little bit clumsier. B-boy Amjad Seven Dollars (or his crew) from Switzerland also did the font or parts of the alphabet back in the day. In more recent times the good people of Heated Words have put in crazy work hunting down what seems to be every photo in existence with that font in it. They also now have the letters in the original cut out iron-on format and are also working on a documentary, which is just awesome. Now there’s also a version of that font available online called Grandmasters Flash or something, but whoever drew it didn’t take the time to study the letters. 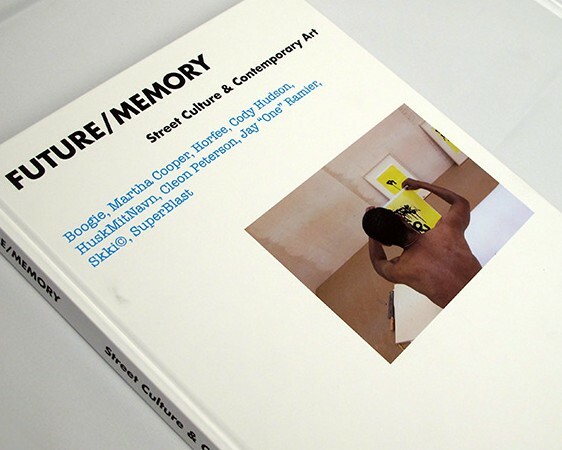 Supreme also did a print with self drawn version of the font in 2014, but the letters were way too pointy in some parts. I’m beginning to sketch for a mural for an elementary school which is due next month and I’m currently trying to figuring out how to approach the audience. I think leaving room for free association will be the thing, with combining macro and micro aspects of an animal subject. There’s also a Karhu rye flavored IPA with an artist label by yours truly coming out in couple of months. Last year kept me fairly busy with commercial mural work, including a ceiling for the Finnish National Museum, so I didn’t paint much in the studio in terms of personal work. I’m hoping to do that more soon.